This week in Mozambique campaigners and civil society organisations are holding a conference to discuss the country’s debt crisis. In particular, they will focus on secret loans made from London based banks. Campaigners have so far been successful in getting an audit of the loans, but no officials have been held to account for their role in the loans, and the debt is still hanging over Mozambique. No changes have been made to prevent a similar thing happening again. I will be speaking at the conference about the role of the UK banks, and the changes we have been campaigning for in UK law. 80 UK MPs have now signed a parliamentary motion criticising the loans and calling for new regulations to ensure all loans given by UK banks or under UK law are publicly disclosed. Such a change would enable parliamentarians and campaigners across the world to hold governments to greater account for debts taken on in their name. In Maputo, capital of Mozambique, there are messages everywhere to save water. Drought has affected southern Mozambique for the last two years. The water shortage is much more serious out in rural regions. A report from UN Women earlier this month said the drought has led to “more parents marrying off their girls early because there would be one less mouth to feed”. In Mozambique, 48 per cent of girls are married before age 18 and 14 per cent are married before age 15. The drought has contributed to a wider economic crisis in the country. 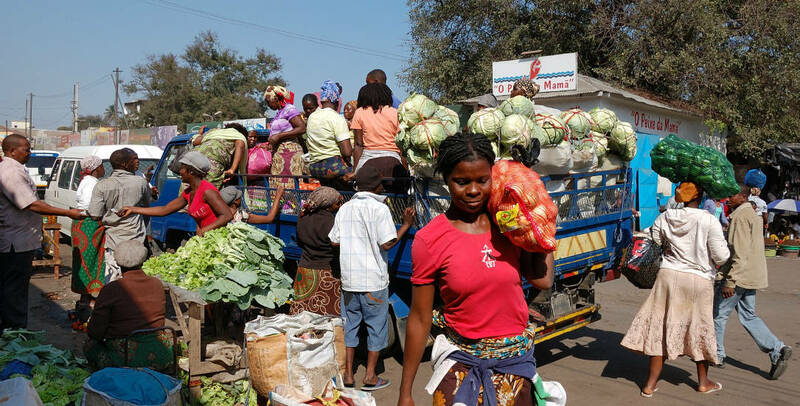 Agriculture is the main source of income for the majority of Mozambique’s population. But the country also has various minerals and fossil fuels. When prices were high for these a few years ago, banks and companies across the world wanted to lend to the country, whether to the government or private companies. As one financier told me “Mozambique was a hot market, and we wanted exposure to it”. During this time, in 2013, a deal was struck by two London based banks, Credit Suisse and VTB Capital, to lend $2 billion to three state-owned companies in Mozambique. Payments on the loans were guaranteed by the Mozambique government. Despite the government guarantee, the loans were not approved by the Mozambique parliament. In fact, they did not even know about most of them, which were kept hidden from all but a small group of officials and lenders. Even the International Monetary Fund says it did not know most of the the loans existed. They were only publicly revealed by journalists in spring 2016. By then, Mozambique’s economic crisis had already begun, with the drought and falling global price for metals and fossil fuels. Following the revelation of the loans, the IMF stopped its bailout loans – which had been used to make debt payments – and donors ended direct payments to the government. A year ago the Mozambique government announced it could not pay the debts, since then it has defaulted on all the hidden loan repayments. This is largely no longer a problem for Credit Suisse and VTB as they have sold on most, if not all, of the debts. And they got insurance on the loans, so it is actually the insurers who will lose most from the non-payment. This may be one of the reasons why no owner of the debt has yet launched any legal action against Mozambique. As with many international loans to governments, the loans are owed under UK law. This means if creditors did sue Mozambique the case would be heard in the London High Court. A condition of Credit Suisse to get the loans signed off by the Bank of Mozambique was dropped in order for the loans to be given. Credit Suisse and VTB gave or arranged loans to three companies which had no revenue, and without the contracts in place to suggest that they would generate revenue in the future. There is an unexplained difference of between $683 million and $714 million on what was paid for equipment bought by the loans, and its expected cost. The audit report states Credit Suisse has not released its due diligence, and that Credit Suisse may have broken UK Money Laundering regulations. The UK regulator the Financial Conduct Authority, as well as Swiss and US regulators, and the FBI, are all said to be investigating the case. A new debt crisis has begun in Africa and Mozambique is just one the countries affected. This week all DONATIONS WILL BE DOUBLED FOR FREE. With new revelations about hidden debts in the Republic of Congo, and more countries on the brink of a debt crisis in Africa, it’s clear this a race against time.